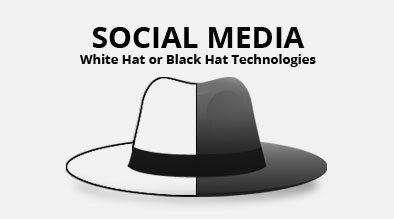 When it comes to social media campaigns, there is much debate over what constitutes “black hat” (spam or negative promotion) and “white hat” (natural promotion) strategies. At SES San Jose 2009, social media experts shared their opinions on what regular practices are considered good vs. bad when promoting your company on social media channels. Beth Harte, Community Manager , MarketingProfs. Overall, here are some key points made at this SES session to keeping a level-minded strategy on social media campaigns. Before posting content, keep in mind your intent. Your social community can smell an insincere social participant from a hundred miles away. Don’t hard sell. Let it come from your natural fanbase. Be genuine. Think about your social strategies before you start. In the end, you want your social marketing to benefit the community and be a positive voice in your industry and social community. Self police your content. Think like Wikipedia and be constantly editing the conversation before it goes out. In summary, the session provided some critical insight to the best practices a company can take when participating in social media marketing. Learn from past mistakes, move forward with a clear perspective on your company’s strategies, and be transparent in your intentions with your social community. They will trust you more and have higher chance of converting in the long run! Myths and rumors abound on the being banned for cloaking issue, and five experts will probably give you six different answers … Well, here is mine: ……don’t be fooled by the hype! Can your core web site get banned by the search engines for cloaking? If that was true, then your competitor could build some cloaked domains and point them to your primary web site so that it would be banned! Think of the damage that would be done if that was at all true. Not a very likely scenario, is it? So can you really have your “cloaked” domains banned for cloaking? The answer is yes – if, for example, the search engines’ staff have manually checked and compared your spider content with what you are actually serving your human visitors. In a worst case scenario a human editor may come along to check the matter out. On the other hand, it is highly unlikely that you will get penalized or banned unless some silly campaign build mistake has taken place. If a cloaking campaign is implemented professionally and with sound marketing techniques, your chances of being banned are minimal. Note that I do NOT condone cloaking for misleading purposes: it is counter productive and will only serve to make life more difficult for all parties concerned. So can cloaking be abused? Sure it can! But so are kitchen knives and painkillers. I for my part have never advocated misleading search engine optimization, if only because it’s dumb marketing. There’s no excuse in the world for misleading visitors like that and it certainly doesn’t seem to pay off either, which is why the SERPs is actually seeing less and less of such practises these days. But let’s face realities here: while the search engines may take a strong-arm stance against cloaking in public, they don’t really seem to worry too much about it in everyday life, even if they state otherwise. One of the reasons being that there’s so much legitimate cloaking about, it would simply be impossible to weed it all out. Else, you might well expect the world’s top 1000 web properties to disappear from the SERPs. It’s quite important to realize this fact before fretting about the possible penalization of cloaking, as so many clueless SEOs are preaching, without a single tangible proof of what they’re claiming to know absolutely everything about.